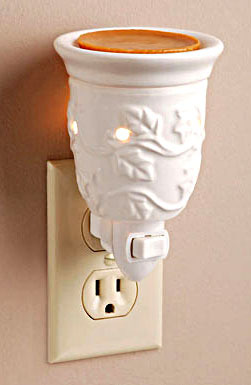 AROMA DIFFUSER NIGHT LIGHT Scented Wax Melter. 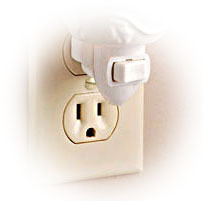 Plug-In Ceramic Night Light Includes Ceramic Dish for Diffusing Scented Wax Disc or Oil. Comes with 15 Watt Light Bulb. Replacement Light Bulb is 280-057-02. Click "Tapered Light Bulbs" below to order. click on Selection below. To see AROMA DIFFUSER BOWL for your craft projects click on Selection below.